While I haven’t had a chance to reinstall my test computer, I ran into a little problem with Windows 10 on my brand new laptop. 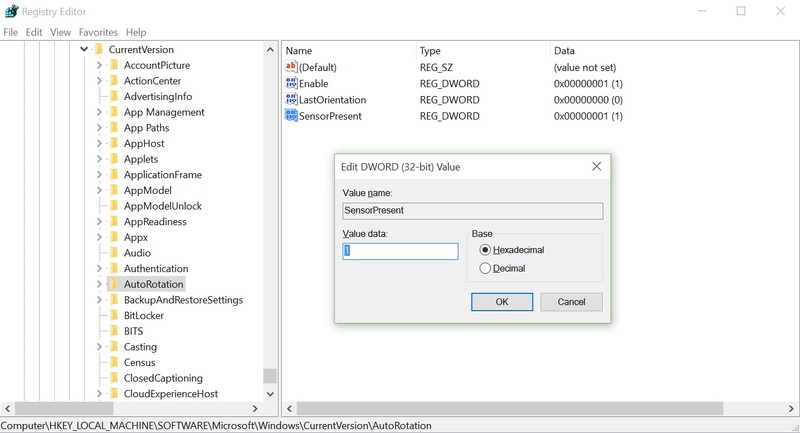 For those of you that ran into the Windows 10 autorotation issue, I will walk through steps to quickly fix it. In learning about this, I decided to test my warranty with HP. So, we will discuss how the issue presents itself, what the problem is, how HP tried to help me, how i helped myself, and how I resolved it. At the start of the year, my wife and I decided to get new computers. We ended up with a Chromebook, a Lenovo Yoga and my special HP Spectre x360. I wanted to get familiar with my laptop. The laptop was purchased on 1/11/16, and in the month that I have had it, I have installed 4 different builds of Linux, Mac OSX and reluctantly, the current OS, Windows 10 Enterprise 2015 LTSB. I tried to lock down the operating system following the instructions at http://safeview.com/2016/01/23/microsoft-windows-10-trading-privacy-for-an-upgrade-operating-system-as-a-service-pt-3/. However, I didn’t trust using the OEM build of WIndows 10. 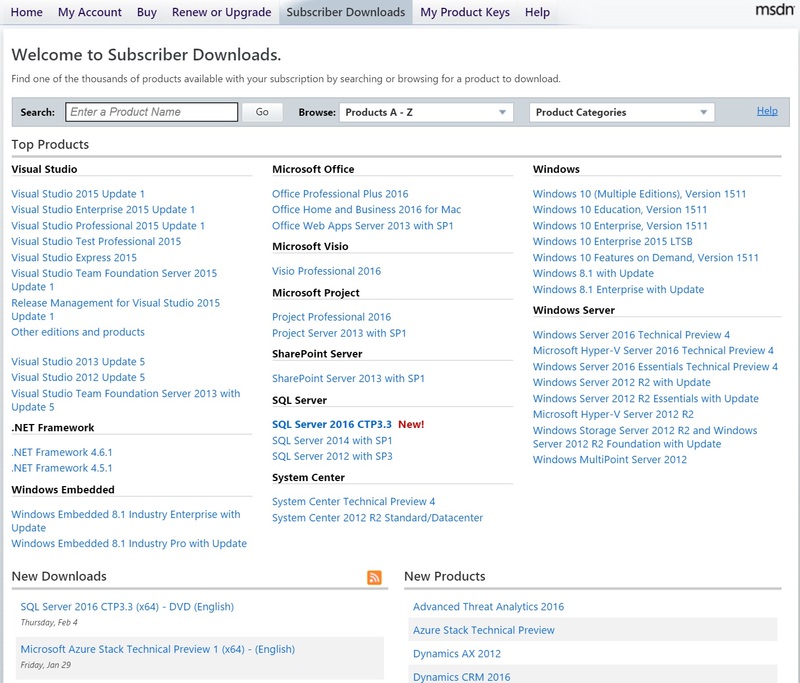 Through the business, I have access to an MSDN account, an Action Pack account and a Bizspark account. As it turns out, they are all conveniently combined into one. This means that I have an excellent supply of Microsoft operating systems, servers, applications, development tools and desktop software at little or no additional cost for testing. Time to test. Windows 10 comes in a myriad of versions, each offering varying levels of connectivity, local and remote policy definitions. 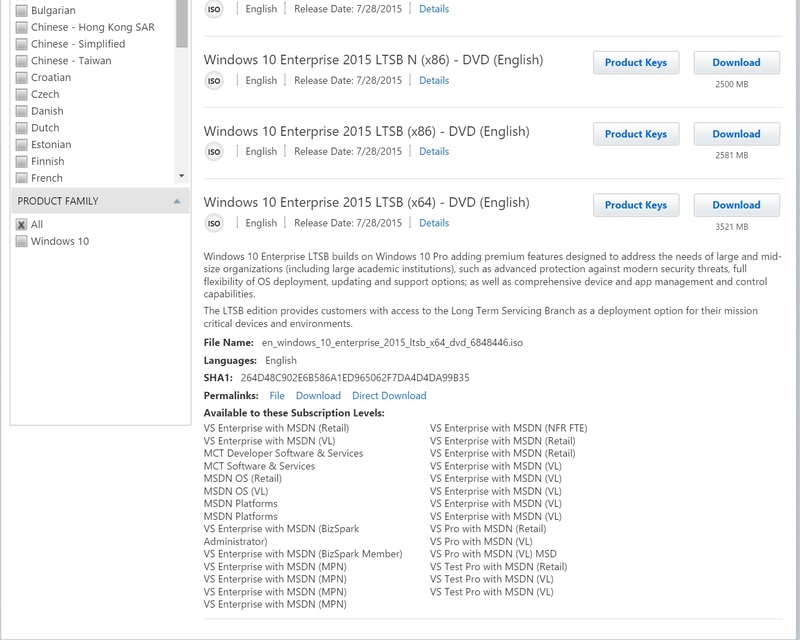 I downloaded the ISO file for LTSB from MSDN. 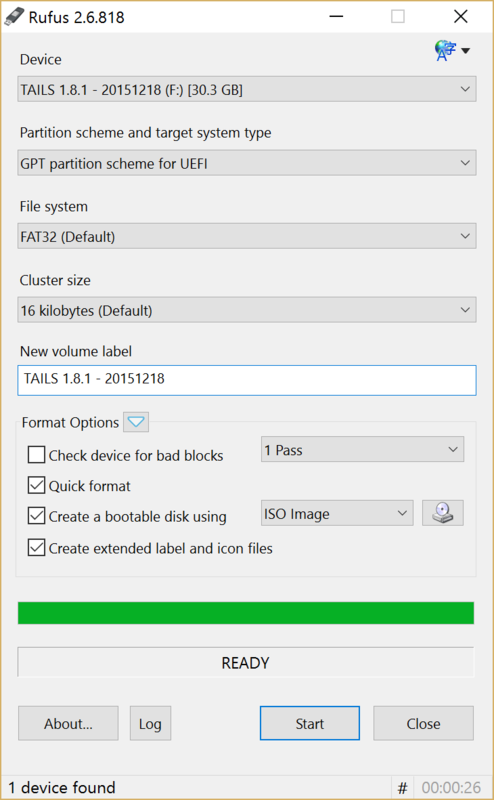 Rufus Portable provides a super easy tool, from Windows, to create a reliable and bootable USB drive. It supports Windows, Linux and MacOSX in my experience. 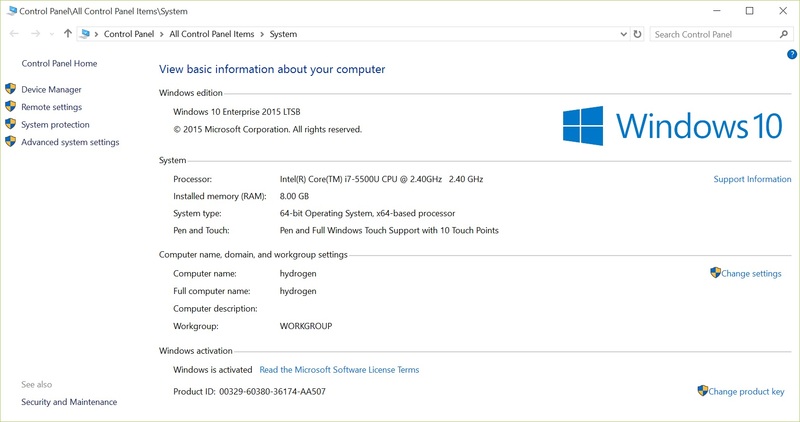 Installing Windows 10 Enterprise 2015 LTSB was easy, took a half hour and was trouble free. Prior to the installation, I had noticed that my computer screen stopped auto-rotating. For convertible computers, this is a big deal. 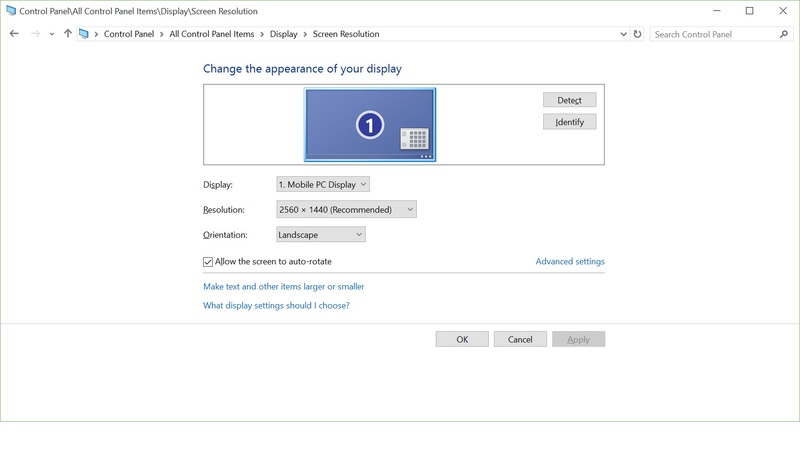 Notice that when the computer is folded over, the display inverts 180 degrees. So, this stopped working shortly after I picked up my computer from Best Buy, before I was able to lock down updates. In fact, once I did, and I removed the errant updates, the screen function did not return. As it turns out, I am not the only one, and this problem is not limited to the HP Spectre x360. Nearly 63,000 unfortunate Windows 10 users searching a very specific problem that affects an expensive subset of the Windows computers, the sleek convertible market that Microsoft is clearly poised to define. Unfortunately, all these users were hammered by what seems like the same issue that I was, an errant Windows upgrade. 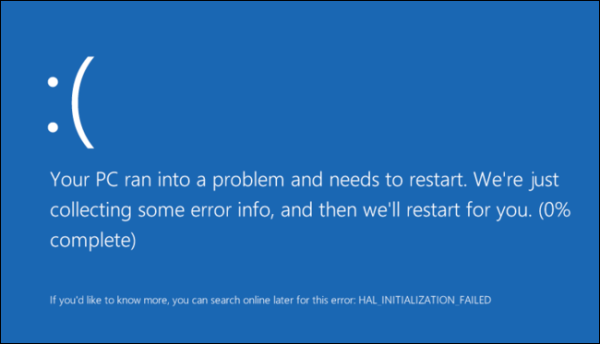 After installing Windows 10 Enterprise 2015 LTSB, and after writing a few posts, I took a few hours in the middle of the night to try and chase this problem down. On a Tuesday evening, past 2:00am, I had a pleasant call with a technician from HP. Their support site gave me thousands of issues related to the screen rotation, and every possible fix was proposed, but none resolved the issue. Everything from firmware to video drivers to rollback of the OS, and so on. Undaunted, I followed the “contact HP” links, and had the option, at 2:00am, to get immediate support via chat. The support technician asked a few cursory questions, then asked to have remote access to my screen. 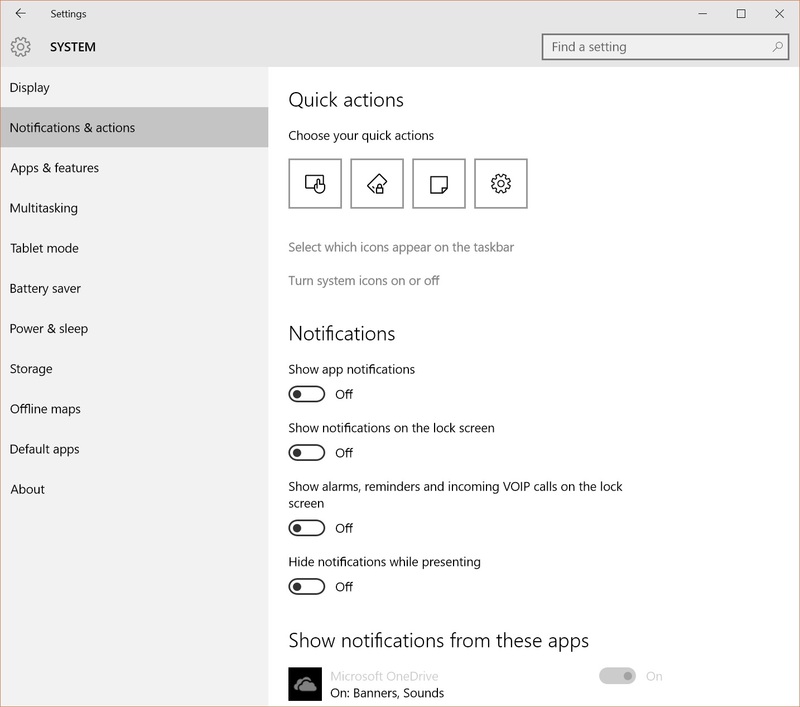 He started with the basics, by checking driver versions, and enabling “tablet mode” for Windows 10. As it turns out, this is a red herring. All the Google searches point to this, but it only enables special large navigation aids compatible with a touch screen, and has nothing to do with rotation. He reinstalled the video driver four times. This did nothing. I asked him to explain what he was hoping to achieve with each change, but he was getting frustrated. He asked me when the last time was that this worked, and what happened. I explained that it stopped working three weeks ago following an accidental automatic Windows Update. I explained that I rolled the update back, but that made no difference. I also explained, that I did a fresh install of LTSB following guidance from HP online. I reminded him that the computer has not worked in three weeks, and was installed fresh a day before my call and still did not resolve the issue. I explained to the HP service technician that the computer screen rotation had not worked since 1/11/16, and it had been reinstalled recently, and that did not fix it. Aside from this one issue, the computer was running great. I told him that I had no issues or concerns other than this one thing that was an inconvenience at best. 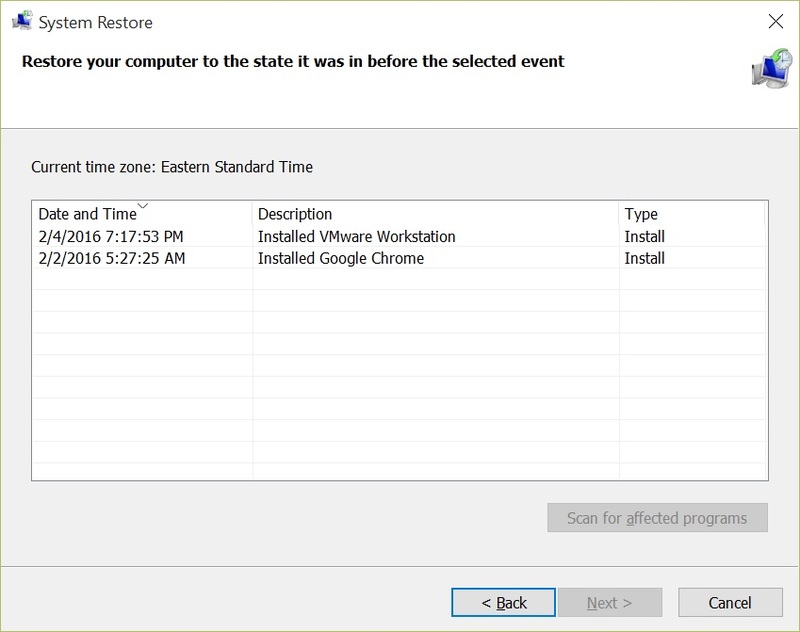 He launched System Restore and proposed to roll the computer back to 2/2/16, regardless of the fact that we both agreed that it did not work at that time. He escalated to his manager, and they shipped a box. They propose to put a new system board in the computer. I am happy with my computer and do not feel like getting a very sensitive convertible back after someone has peeled it open. I started searching for resolutions, tests, even unsuccessful ones, just to find a pattern. Unfortunately, it seems that a lot of people gave up on the HP site, or were just grumbling. When I typed one of my searches, after a reboot, I forgot to put in “HP Spectre x360”, and in that mistake, I found the solution. 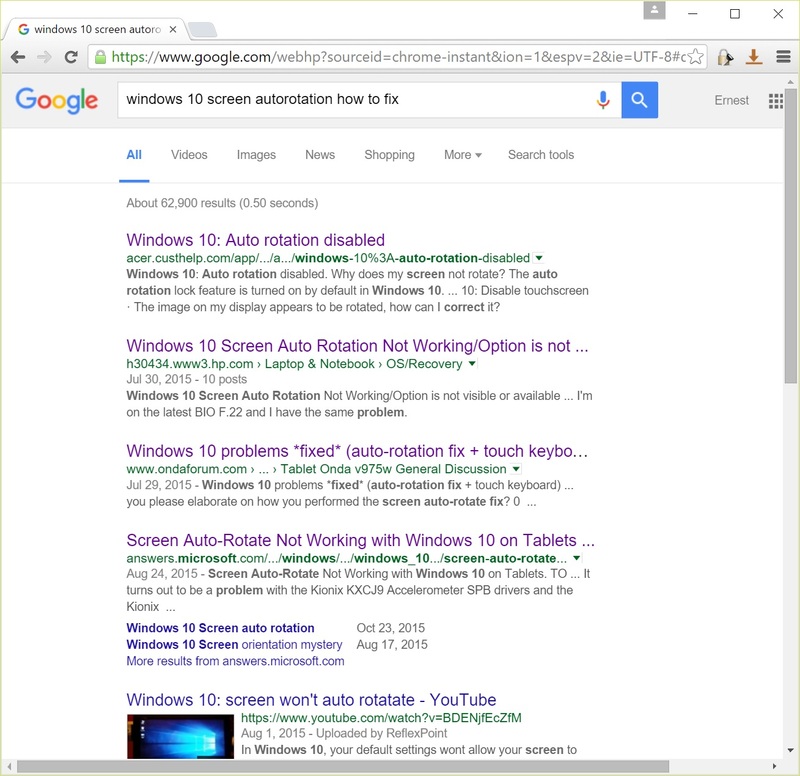 Autorotation is a feature that Windows 10 has within the operating system. It enables operation on Windows Surface devices and convertibles. 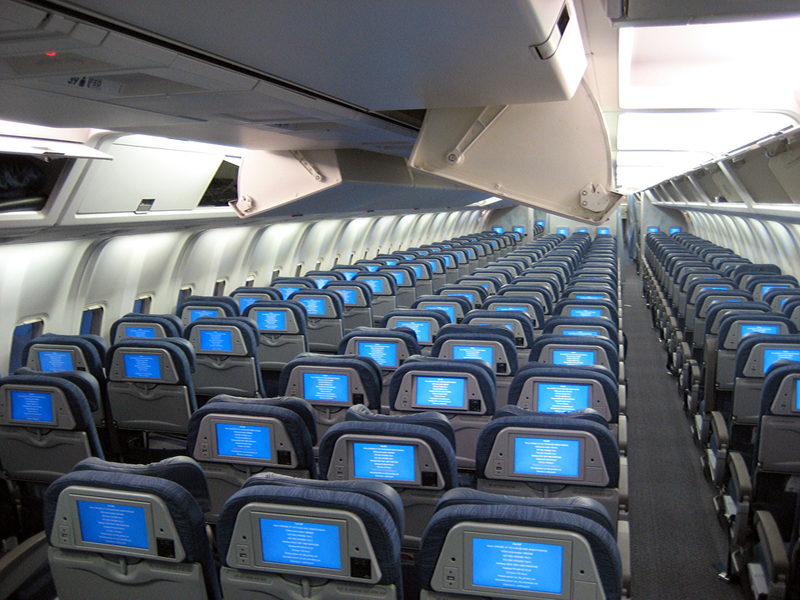 For it to work, there is a sensor that reports to the operating system the orientation of the computer. Associated with that, this can be optionally locked or unlocked. This seems easy, but it goes further for convertibles. The registry has to support autorotation. Additionally, the sensors have to be unlocked and permitted to send signals to the operating system. Both of these things have to work in order for auto-rotation to work. Check the value of Enable. If it is 0 rotation will be OFF, if 1 rotation will be ON. Same thing for SensorPresent. Part 2. The sensors can be locked down. This can be the result of a security setting or an errant Windows 10 auto upgrade. If the sensors are locked in the registry, the rotation lock icon in action center will be grey. Part 3. The Windows Resolution. Go to Settings > Notifications and Actions. Click on rotation lock under Quick Actions. Now turn the computer sideways. Now turn it upside-down. Voila! Note: I did read on a Microsoft user forum that the rotation lock charm will stay grayed out when a keyboard is detected. I am sure that I can disable this check, but if you want to see the charm un-gray, turn the laptop upside down, then pull out the Action Center. BONUS: To rotate your Windows 10 display manually, hold SHIFT+ALT, and hit the arrow that points to where the top of the screen should be. SHIFT+ALT+right arrow puts the computer in portrait mode, with the top of the screen to the right. Microsoft and their partners are not doing a thorough job protecting the integrity of the system through changes for those users depending on auto-update. For enterprise users, Microsoft and their partners (HP herein is just one of many) are not communicating. This is a setting that Microsoft may have stripped out of LTSB. However, drivers from Microsoft and HP immediately recognize this device that I have. If registry updates are required to enable full functionality, that should be made available to the partner as a patch, as a tech note, and their technicians should know that reinstalling will do nothing to fix Windows if the problem is a registry or configuration issue. Don’t allow anyone to make significant changes to your systems without very clear explanation of the reasoning. If it does not make sense, find someone who does. Also, hold your hardware, software and solution providers accountable. If you are paying for a certain level of performance and quality, they owe it to you to make sure that you get your money’s worth. Coming soon, installing Mac OSX and Linuxon my PC laptop, building an ESX server with a tiny computer, and finally doing a complete Office 2016 installation using the Office Deployment Tool, and also a few more years of the History of the Internet.